In their initial review of the laptop, the metadata showed many messages, apparently in the thousands, that were either sent to or from the private email server at Mrs. Clinton’s home that had been the focus of much of the FBI’s investigative effort. Senior FBI officials decided to let the Weiner investigators proceed with a closer examination of the metadata on the computer and report back to them. That led to frustrations among some investigators, who viewed FBI leadership as uninterested in probing the charity, these people said. Others involved disagreed sharply, defending FBI bosses and saying Mr. McCabe in particular was caught between an acrimonious fight for control between the Justice Department and FBI agents pursuing the Clinton Foundation case. Mr. McAuliffe said he supported Dr. McCabe in the hopes she and a handful of other Democrats might help win a majority in the state Senate. Dr. McCabe lost her race last November, and Democrats failed to win their majority. Clinton Foundation officials have long denied any wrongdoing, saying it is a well-run charity that has done immense good. The FBI field office in New York had done the most work on the Clinton Foundation case and received help from the FBI field office in Little Rock, the people familiar with the matter said. For Mr. McCabe’s defenders, the exchange showed how he was stuck between an FBI office eager to pour more resources into a case and Justice Department leaders who didn’t think much of the case, one person said. Those people said that following the call, Mr. McCabe reiterated past instructions to FBI agents that they were to keep pursuing the work within the authority they had. A high-energy billionaire with zero political background has dominated the field, vanquishing sixteen Republican opponents and winning unprecedented support among minorities. The wife of a former president and the heir apparent of the current president barely managed to win the nomination. The media has all but lost control of “The Narrative” and finds itself trying to keep a frustrated viewing audience on the leash while also battling a flood of online, alternative media exposure. Donald Trump has shown us that all bets are off: insiders are out, policy pales in comparison to patriotism, and leaked documents are as important as the official debates. 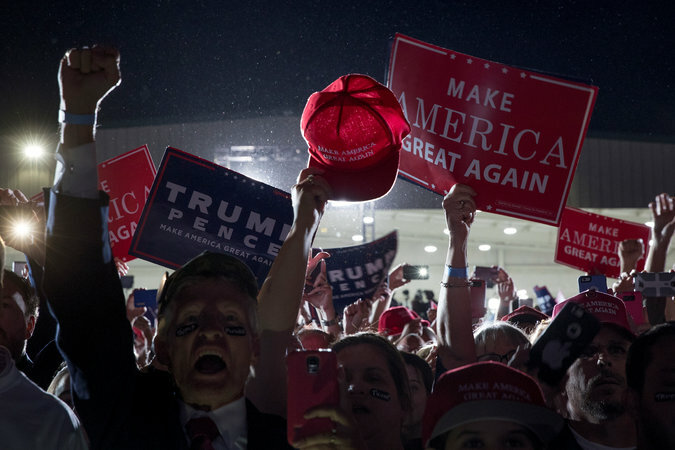 Both parties have risen to the new challenges, relying heavily on social media and other technology to win supporters and influence undecideds. One example of these techno-political on the Trump side of the race, is the website RealTrueNews.org. RTN’s main focus is to expose and destroy the incestuous bond between Washington, D.C., Wall Street, and the Mainstream Media. 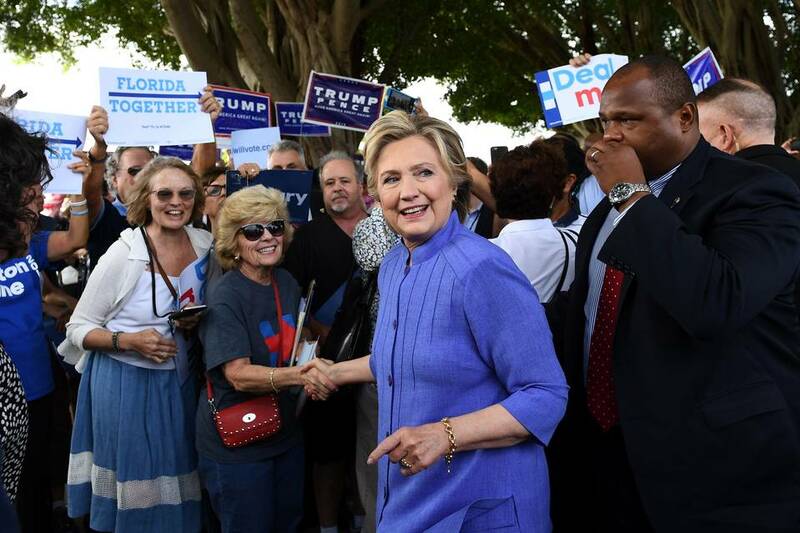 As a result, they are all firmly opposed to Hillary Clinton, who has shown herself to be the new, cackling face of the globalist, crony-capitalist elitism that currently dominates American politics, finance, and the news. And that’s when things get really interesting. Without a traditional campaign infrastructure to target, it appears they have been reduced to going after the “most influential voices” in the online debate. First of all, who are these people? As we’ll see, brock is David Brock and efink is apparently Elliot Fink, another CTR employee. Next, what are they discussing? By “this mess” they mean the voter reaction to the first debate. Fink is saying that “the only good thing about” the first debate is that “whoever she was” looked pretty good. As disturbing as it sounds, Fink is saying that he doesn’t know who the woman was in the first debate or how “they” pulled off the deception, but it worked. If you’re interested, I have written about this issue before here at CDP. i can’t talk [about how “they” put the woman into the debate]. very hush hush. still, we’ve lost every online poll and we need to get tough here. get this under control. i don’t see what’s so bad. She [“whoever that was”] looked really healthy! I thought she did GREAT! she [i.e., Hillary Clinton, “the sick thing”] was scoring 3 on AMTS a couple of weeks ago and 22 on mmse. Yeah, whoever that was was normal. AMTS means “Abbreviated Mental Test Score” and MMSE means “Mini Mental State Exam.” Both tests are used to assess confusion and cognitive impairment. So, how did “the sick thing” do? There are ten questions on the AMTS, each worth 1 point. A score of 6 or less indicates dementia or delirium. A couple weeks before the first debate, apparently Hillary Clinton scored a 3. That level of cognitive impairment would have been obvious to everyone watching, but “whoever that was” in the first debate against Trump, “was normal.” Nevertheless, Fink is fuming. it means they’re enthusiastic. organized. if they [i.e., Trump supporters] can swarm a poll whats to stop them swarming a voting booth? it also creates a counter-nar[rative]. the free press will sniff it. we have to stop the bleeding. [but] don’t worry. we have something. GET SHAW OUT OF BED. cshaw [6:06 AM]I read the [post-debate] round-up. It looked good? alright. … we need to start hurting people and that’s what this is about. This is about winning because we’ll never get a chance at this again. everything is justified. David? f**k–okay. so the Trump team is an emergent order. thirty million little chan and reddit a**holes that bump around and then congeal to vote in a poll or push a meme or make a hashtag trend or whatever. This is new. It isn’t like fighting a centrally organized campaign. So what we need to do is break the pattern. The usual means isn’t working. Trump’s too charismatic. Morale is too high. This is an army of chaos[,] folks. Max Insider believes “Word of God” refers to Obama, and I’m inclined to agree. Max Insider also thinks “heaven” refers to the White House, where “Word of God” lives. We have the use of an NSA intrusion package. We are going to find the thought leaders. the meme-generators. 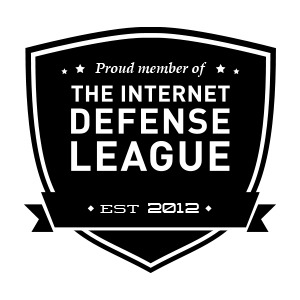 … I need a target analysis for reddit, twitter, and the chans by tomorrow 5 PM. On the Internet, “dox” means to reveal someone’s identity and personal information. that [Foxacid] will dox them?? Details from another slide in the same NSA Powerpoint presentation that Snowden released. “Magic Lantern” is data-tracking software used by the FBI. [do] u really want [to] f**king know, kim? Wikileaks, and other leaks, prove that Google Was Running An Organized Crime Operation To Rig The Government! The jolting development highlighted not only the intersecting lives of Mrs. Clinton, Ms. Abedin and Mr. Weiner, but also the pattern that has characterized the Clintons’ relationships with the sometimes oddly behaving inhabitants of their insular world: Even amid accusations of sexual or financial impropriety, the Clintons’ first instinct is to hunker down and protect those in their orbit, sometimes leading to more ugly eruptions later and, eventually, to messy public breakups. On Friday, several of Mrs. Clinton’s friends and allies suggested she distance herself from Ms. Abedin, a painful prospect given that Mrs. Clinton has described Ms. Abedin as a surrogate daughter and has relied on her more than anyone else during her nearly two-year pursuit of the White House. “We of course stand by her,” her campaign chairman, John D. Podesta, said on Saturday when asked whether Ms. Abedin would step down from the campaign. Hillary Clinton has a 90% chance of winning the presidency. Privately, aides to Mrs. Clinton suggested on Friday that Ms. Abedin would remain alongside Mrs. Clinton for the final, breakneck stretch of the campaign. But some senior Democrats are now wondering whether, if Mrs. Clinton is elected, she will be able to bring Ms. Abedin along with her for what was once widely expected to be a senior role in the White House. Mrs. Clinton’s loyalty to Ms. Abedin (and vice versa) stems from the decades they have spent working closely together, beginning when Ms. Abedin was a 19-year-old intern to the first lady in the 1990s. At the State Department, Ms. Abedin served as deputy chief of staff to Mrs. Clinton. 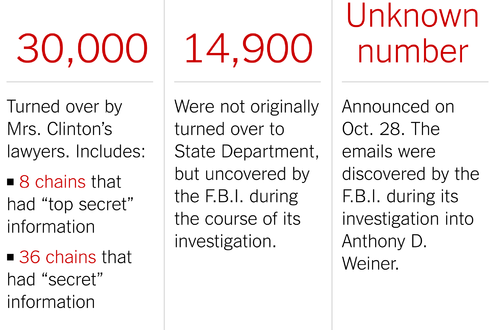 Emails released by the State Department captured the closeness of their relationship. A jet-lagged Mrs. Clinton once emailed Ms. Abedin at 12:21 a.m. to take her up on an offer to come over to Mrs. Clinton’s house for a chat. “Just knock on the door to the bedroom if it’s closed,” she wrote. Ms. Abedin’s high profile and proximity to Mrs. Clinton also brought her scrutiny. Senator Charles E. Grassley, Republican of Iowa and chairman of the Judiciary Committee, has questioned Ms. Abedin’s arrangement to earn income privately while she worked for Mrs. Clinton at the State Department. In addition to being on Mrs. Clinton’s personal payroll, Ms. Abedin received money from the Clinton Foundation and Teneo, a consulting firm co-founded by Douglas J. Band, a former senior aide to Mr. Clinton. And some of Ms. Abedin’s emails on Mrs. Clinton’s private server led to accusations that foundation donors had received special access to the State Department. 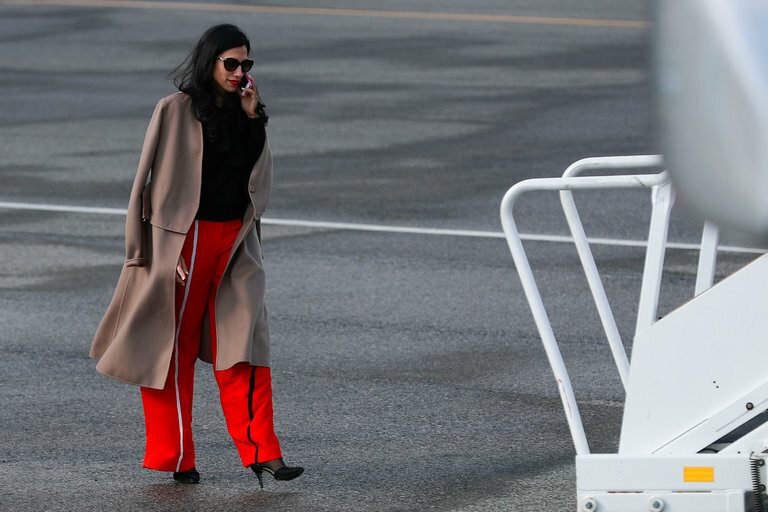 Through it all, Mrs. Clinton and her longtime adviser Philippe Reines have fiercely protected Ms. Abedin. Mrs. Clinton played a part in introducing Ms. Abedin and Mr. Weiner, then a brash and outspoken Democratic congressman from New York. In August 2001, the young congressman asked Ms. Abedin, then an aide to Mrs. Clinton in the Senate, if she would go out for a drink. Standing behind Mrs. Clinton, Ms. Abedin waved her arms at her boss and shook her head “no.” “Of course all you young people should go out,” Mrs. Clinton said. Mr. Weiner eventually won Ms. Abedin’s affections in January 2007, when he sat between Mrs. Clinton and her rival, then-Senator Barack Obama, at President George W. Bush’s State of the Union address. “I appreciate you looking out for my boss,” Ms. Abedin texted him. They went out for coffee and were married in July 2010; Mr. Clinton performed the ceremony. Ms. Abedin and Mrs. Clinton’s personal lives have in some ways taken parallel tracks, with each woman choosing to forgive her husband’s humiliating transgressions. Others close to Mrs. Clinton have not been as understanding. On a campaign conference call the day that Mr. Weiner admitted he had continued to engage in online liaisons, Mr. Reines berated him, yelling that he would “reach through the phone” and “rip out” his throat, adding an expletive. On Saturday, Ms. Abedin was working from the campaign’s Brooklyn headquarters rather than traveling with Mrs. Clinton on a campaign swing in Florida. Mr. Reines, who is not officially on the campaign’s staff, was, however, accompanying Mrs. Clinton. Some advisers to the Clintons were exasperated earlier this year to learn that Mr. Weiner and Ms. Abedin were bringing about another distraction: The couple had permitted a behind-the-scenes documentary about Mr. Weiner’s circuslike mayoral bid to be made, resurrecting the sexting stories once again. But deciding how to handle the current situation could be especially difficult. Cutting out employees who prove politically damaging may seem like Politics 101, but for the Clintons, it has never been easy, particularly when it comes to their oldest and most loyal aides. Ms. Abedin and Mr. Band both started as White House interns, spent their formative years working for the Clintons and ultimately brought unwelcome headlines to their bosses. Before the email news broke on Friday, Mrs. Clinton’s campaign was answering questions about Mr. Band’s private consulting firm, Teneo, and its ties to the Clinton Foundation. “I think voters, first of all, understand that Hillary Clinton is the candidate that’s on the ballot, not Doug Band,” her campaign manager, Robby Mook, told reporters on Friday. p class=”story-body-text story-content”>It remained to be seen whether he would soon need to say the same of Ms. Abedin. ReutersWHAT HAPPENED? Huma Abedin Swore Under Oath She Gave Up ‘All the Devices’ With State Dept. 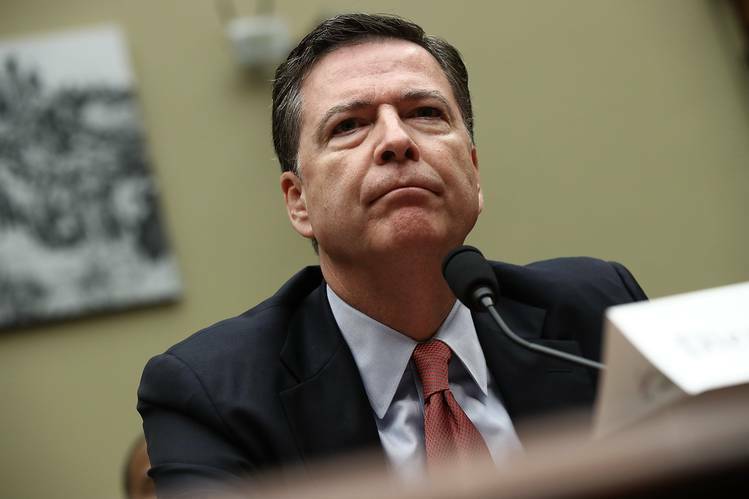 EmailsThe FBI found emails pertinent to its Clinton investigation, reportedly on a computer from her aide’s home. That doesn’t jibe with she told lawyers this summer. John Podesta, the chairman of the Clinton campaign, told reporters on a conference call that Abedin had been nothing but cooperative with investigators and sat for hours of depositions last summer as part of the civil lawsuit filed byJudicial Watch. Cotca then asked Abedin specifically what devices she gave her attorneys. “If memory serves me correctly, it was two laptops, a BlackBerry, and some files that I found in my apartment,” Abedin said, adding the BlackBerry was associated with her Clintonemail.com account. Abedin maintained that she was “not involved in the process” of what records on her devices would be given to the State Department. Abedin was asked whether she supplied her login, password and other credentials to her “Clintonmail.com” account so that her attorneys could eyeball “all of the emails that were on that account” Abedin said she had. “I would imagine anybody who has personal e-mail doesn’t want that personal e-mail to be read by anybody else,” Abedin said. When told she used her Clintonmail.com address for “State-related matters,” Abedin didn’t deny it. “Yes. There were occasions when I did do that, correct,” she said. But Abedin said she rarely deleted emails when it came to her official State Department email account or her personal Huma@Clintonemail.com. It appears that Abedin amassed emails on her computers and government-issued BlackBerry that she thought were automatically purged. “The e-mails on my State Department system existed on my computer, and I didn’t have a practice of managing my mailbox other than leaving what was in there sitting in there. Abedin said she didn’t keep any paper printouts of any of the correspondence that may have been deleted or otherwise lost. “Honestly, I wish I thought about it at the time. As I said, I wasn’t perfect. I tried to do all of my work on State.gov. And I do believe I did the majority of my work on State.gov. Abedin was asked if she had “any concerns” about Clinton’s use of her private email server for State Department business. Judicial Watch followed up, asking why no one inquired with a State Department official in charge of managing records to make sure it was allowed. “We all wish we could go back and that not be the case,” Abedin, a wish that must only be greater 10 days before voters decide her boss’s fate. Are lithium ion batteries setting our planes on fire?